WOW! Women On Writing Blog: NaNo Anyone? I am so unsuccessful at NANO Wri Mo! But I am in awe of everyone who does it, even half way! Once again we are thinking similar things. 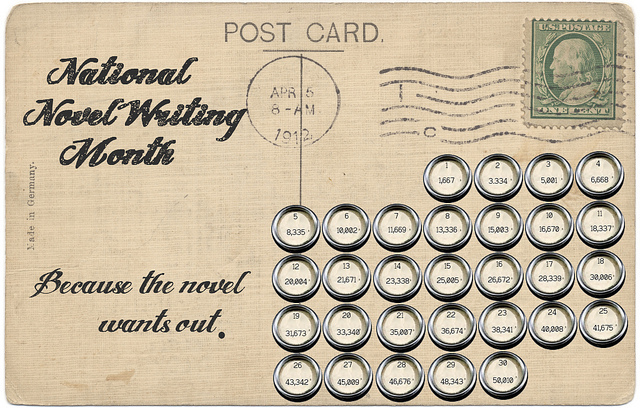 I'm not doing NaNoWriMo but I am taking part in a writing challenge. And it is all in my blog post for tomorrow! Margo--I have a feeling I won't make the same progress this year as I did last year, but you never know. I remain (a bit) hopeful. Sue--I look forward to hearing about it. Though I'm not doing NaNo this year, I have participated two or three times in the past, and your tips are spot on. NaNo is the only way I've completed any full-length pieces of fiction (two 50,000-word young adult novels and one middle grade at 20,000 words), so if it works for you (and I consider 25,000 words of a children's novel successful) go for it! Now if only there could be some sort of challenge to get us to actually submit . . . I've completed NaNoWriMo once, and it was tough. This year I'm doing some short bursts, but I'm hoping next year will work for me. I love the idea of using this to get out of hosting Thanksgiving, but I'm afraid I would then be forced to host Christmas! I guess I need a new writing competition in December, as well!